It was a pretty significant day in the baseball world today. Felix Doubront made his first career start for the Red Sox. Stephen Strasburg made his third major league start (overkill, I know). Mike Stanton, who is living in Strasburg’s shadow (in a way) hit a grand slam. 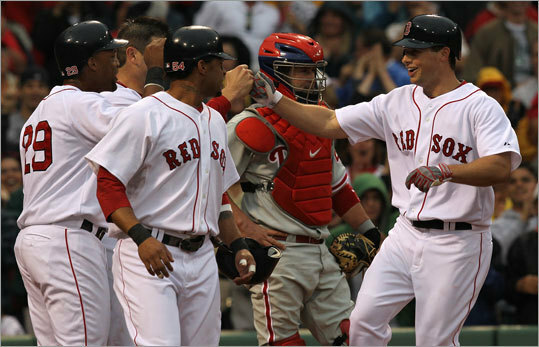 Oh, and Manny Ramirez stepped up to the plate at Fenway Park. 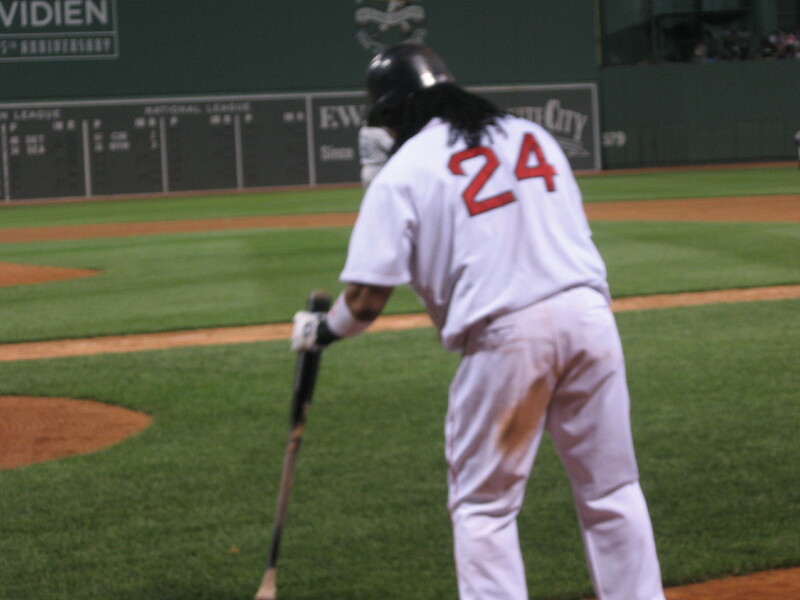 That used to sound so normal: Manny Ramirez stepping up to the plate at Fenway Park. I probably took it for granted at the time. For eight years, the sun rose in the east, the light turned on when I flipped a switch, and Manny Ramirez would step up to the plate in a Red Sox uniform. The sun rose once a day; Manny Ramirez would come to the plate three to four times a night! It really was part of my everyday life. Manny’s eccentricities gave the Red Sox a charismatic edge over other teams. When people would criticize him, I, and so may others, would justify his actions by saying, “Oh, that’s just Manny being Manny.” That didn’t really cause much controversy until the end. Some people would say that he didn’t play hard enough. Some said that his head was in the clouds during the games. This may have some validity to it, a lot in fact. But I don’t think that anyone can deny that Manny is a fantastic baseball player. It seemed like it just came naturally to him. Perhaps that is why he seemed preoccupied sometimes. He was so good that he didn’t even need to concentrate. I suppose that as fans, we are used to seeing the players focused on every pitch, every play, every little detail of the game, that Manny’s aloofness (for lack of a better word) may come off as arrogant. 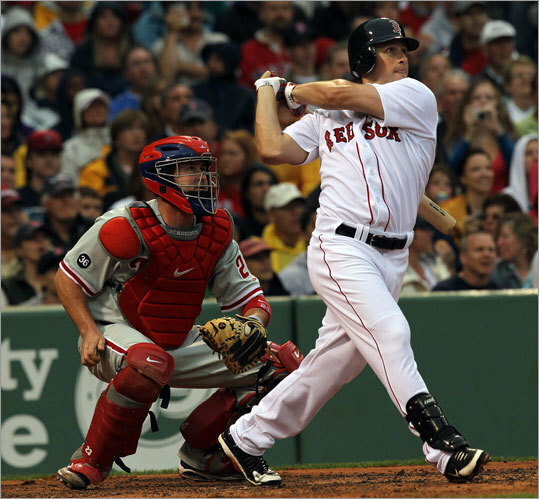 I know that not everyone likes Kevin Youkilis, but he is a great example of one of those guys who is so focused on the game, and plays very intensely all the time. I certainly appreciate that as a fan, because it is simple enough for me to notice that his success is a result of his intense work ethic. Manny, on the other hand, is someone whom you just have to accept as one of those naturally talented players. As I said before, Manny’s character didn’t cause much controversy until the end of his tenure in a Red Sox uniform. (Yes, there was that day in 2005 where I flipped out because I thought he had been traded to the Indians). I think that his career in a Red Sox uniform generally had positive connotations. Manny was the face of the Red Sox for a good part of this decade. Uncle Ben puts it best in Spiderman when he says, “With great power comes great responsibility.” When I think about Alex Rodriguez, whose significance to the baseball world is of the same level as Ramirez’s, I really do not see him in a positive light. I can understand that he plays the game intensely, but that gives him no reason to knock balls out of people’s gloves, say “MINE” to confuse infielders, or to take steroids for that matter. On the opposite end of the spectrum, you have Joe Mauer, who, to me, represents everything a baseball player should be. Ramirez did well for a while with the kind of media attention he received. However, the end in Boston was probably among the worst breakups in Red Sox history. I don’t really know when or why Manny snapped. I don’t know why he stopped liking Boston, or why he stopped liking the fans. Some people are good about it, and they merely ask the organization to be traded. Manny just stopped playing during that last week. The air in Fenway became tenser, and his poor attitude was a cancer in the clubhouse. So he was traded. It really shocked me at the time. 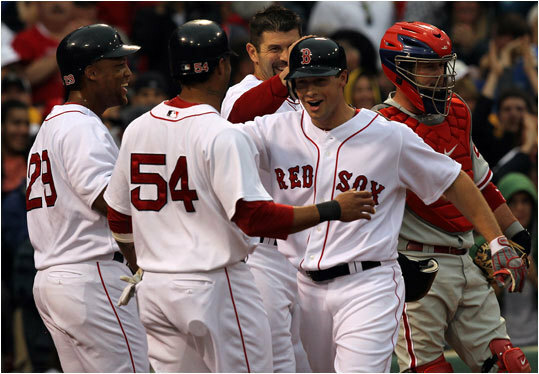 I thought that he would never leave, and that he would finish his career in a Red Sox uniform. The sun still rose (despite my doubts), the light still turned on when I flipped the switch, but Manny didn’t step to the plate at Fenway Park in a Red Sox uniform the next day. We all have fond memories of watching Manny Ramirez: the walk off home runs, the snack breaks in the Monster, etc. My first game ever at Fenway Park, he waved to me. My friend and I had great seats to begin with, but we snuck down around the seventh inning to the second row because some people had left. Ortiz and Ramirez walked out together, and my friend and I started waving, and calling their names, and Manny enthusiastically waved and smiled. It made my night. 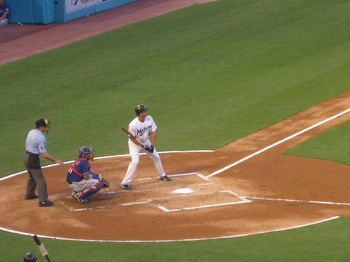 That same series against the Blue Jays (this was July of 2007), fortune was in our favor and we scored Monster seats. I remember being so excited that I could hardly contain myself, and the security guard at the monster asked if I was alright. We were in the third row up on the monster. 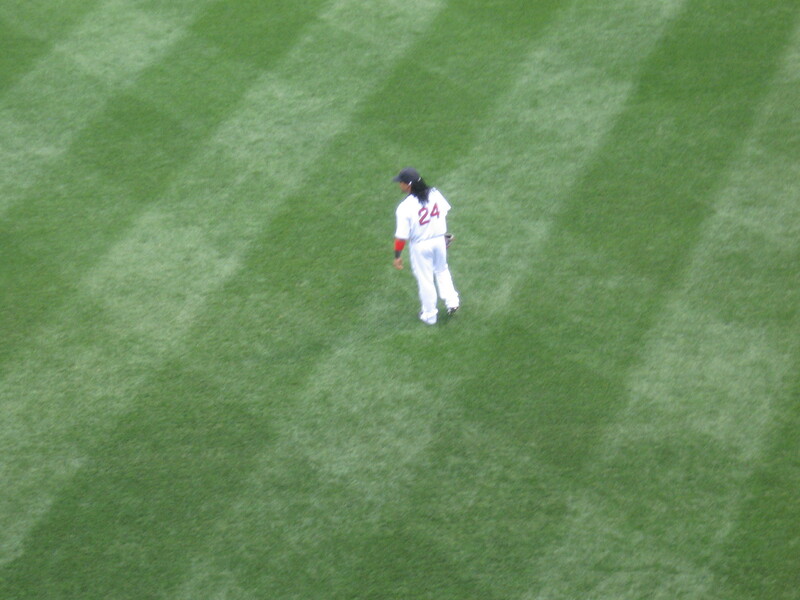 When Manny would jog out to center field each inning, I jumped and would wave to him. And each inning, he would wave with his glove at me. I’ll never forget it. There was this one comment that he made last year that really saddened me. He said something along the lines of, “I’d rather play here where I’m happy than spend eight years when I’m miserable.” Manny can say what he wants, but I know that he enjoyed some of his time in Boston. I know that he appreciated the fans. In seventh grade, when we were assigned in art class to make a mold of a head of someone we admired, I chose Manny Ramirez. Even though the end was not pretty, when he walked up to the plate last night, I cheered for him. I know that he may have used performance enhancing drugs, and I know that he was suspended last season for them. This is the steroids era. I can’t help the fact that I grew up during this era, and that my affection for some players may be illegitimate. As a fan, I had a very deep affection for Manny Ramirez, and it would be very hard for anything to change that. 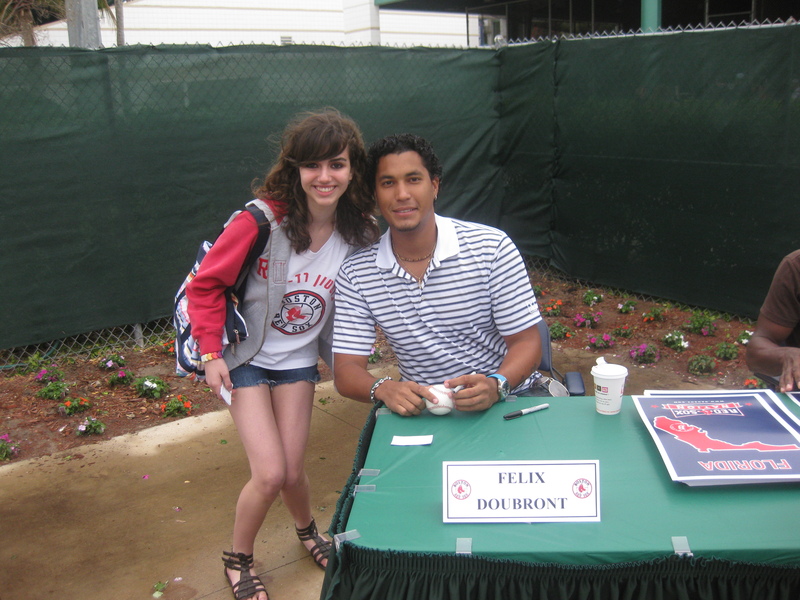 I was very happy to see that Felix Doubront was called up to the show. He had been performing at a very high level this year. I’m a bit unsure of exactly how he fits into the Red Sox’s plans, but I’m sure that we will see as time goes on. He had a very good spring training, and started the year in Portland where he posted a fabulous record and ERA, so he earned a promotion to Pawtucket. Emperor. What do you guys think? While I am certainly happy with Doubront’s success, I hope you guys haven’t forgotten about Michael Bowden yet! Yes, he has struggled at times this year, and hasn’t been completely consistent, but his last few starts have been great–especially his most recent! No runs through 7.2 innings! I really wish that Dustin Richardson would get more of a chance to pitch. Terry Francona uses Daniel Bard way too often. Believe me, I love his 100 mph fastball and his slider, but the guy needs some rest! Richardson is perfectly capable! I’m so glad that the Red Sox kept him on the roster and designated Boof Bonser (let’s hope that experiment is over) for assignment. I know Richardson will make a positive impact with the club. Yes, I know that he gave up a home run tonight. He left the pitch up, and it happens to everyone. Stephen Strasburg has given up two home runs! Richardson’s presence in the bullpen is valuable because he is a lefty, and I feel like he could be used in long relief too. 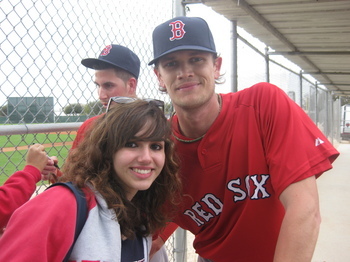 If the Red Sox had as much faith in him as I do, he would definitely have more than three, short appearances this year. Speaking of Stephen Strasburg, the hype that he is receiving is a little bit ridiculous. Why is MLB Network insisting on broadcasting every single one of his starts? They had a countdown to his third start yesterday. His THIRD start! I can just imagine it now: “And tonight, we bring you Stephen Strasburg’s 17th Major League start!” If I were an outsider, I would think that Strasburg could walk on water, or maybe that his tears cure cancer–the messiah! That’s how much hype he is getting. 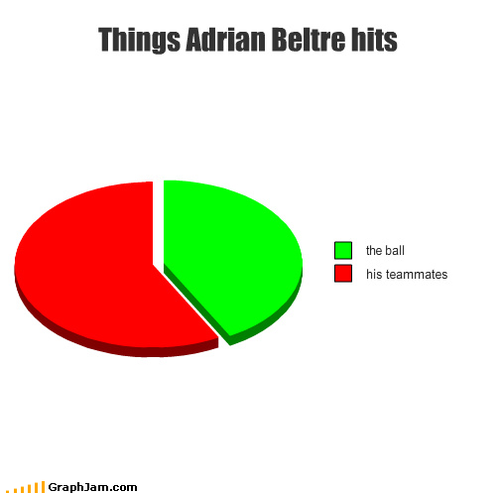 People need to settle down and just let the man pitch. I have no doubt that his career will be illustrious, but I do not need everyone of his starts to appear on national television. Ozzie Guillen something along the lines of “I think he is the best pitcher in the National League.” OK he’s good. But has Guillen not seen Ubaldo Jimenez? If people are looking for an excuse to give the Washington Nationals attention, they didn’t need Strasburg. Ryan Zimmerman has been performing at a MVP worthy level for years. Staying in the National League East, Mike Stanton hit his first career grand slam today, and it was such a shot! This guy has some serious power, and I am so excited to watch him play. Strasburg pitches once every five days, we see this guy at the plate four times a night! I really don’t want to say that he is living in Strasburg’s shadow, but in a way he kind of is. Both of their debuts just happened to coincide I suppose. One more thing about the Marlins. In their new ballpark, they are planning on putting fish tanks behind home plate (with bullet proof glass). Apparently, PETA wrote Marlins owner Jeffery Loria a letter asking him to reconsider because they thought that it would be a stressful environment. Really? I’m going to withhold further comments on PETA, but I think that this is just a bit absurd. They’re asking him to put them back in the ocean where they belong. Are they writing to Sea World? Now THAT is a pretty stressful environment. They obviously don’t watch their baseball because nobody goes to Marlins games; therefore, I don’t really think the fishes would be too stressed out (not that anyone cares). Only reason I don’t go to more Marlins games is because it’s pretty much in the middle of no where, and just so inconvenient to go to (and the weather is terrible). I actually went the other night with some friends to the game against the Rangers. CJ Wilson and Josh Johnson pitched, and it was a pretty great pitching matchup. Both of them did fairly well. It was Stanton’s home debut too, so that was special to see. He received a real nice standing ovation from the few fans in the stands. There was even a group of guys who had spelled out S-T-A-N-T-O-N on their chests. Tomorrow, I am basically leaving for the summer. Well, about a month and a little over a week. First, I go to California to a summer program that I have been going to every year since the summer before 8th grade. I’ve literally grown up over there. I also happen to have tickets to two Red Sox vs Giants games in San Francisco. Then, I’m flying to Boston. 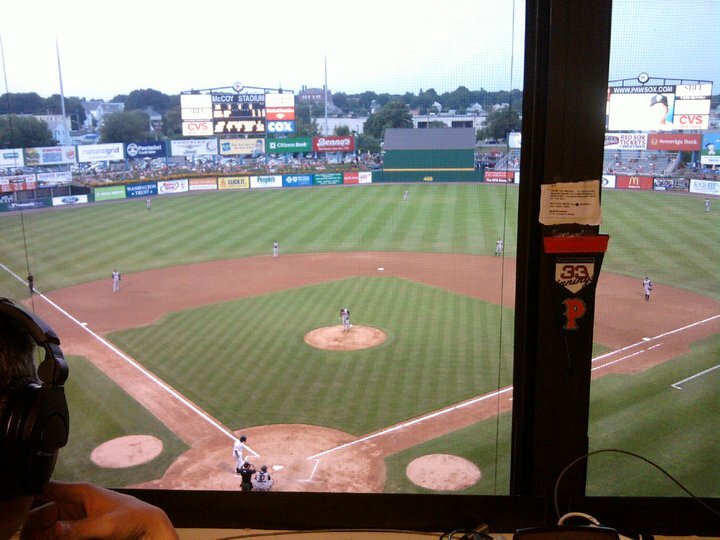 Dan Hoard and Steve Hyder have agreed to let me shadow them for a day (they are the broadcasters for the Pawtucket Red Sox), and I have asked a few beat writers from the Providence Journal if they would let me do the same thing. 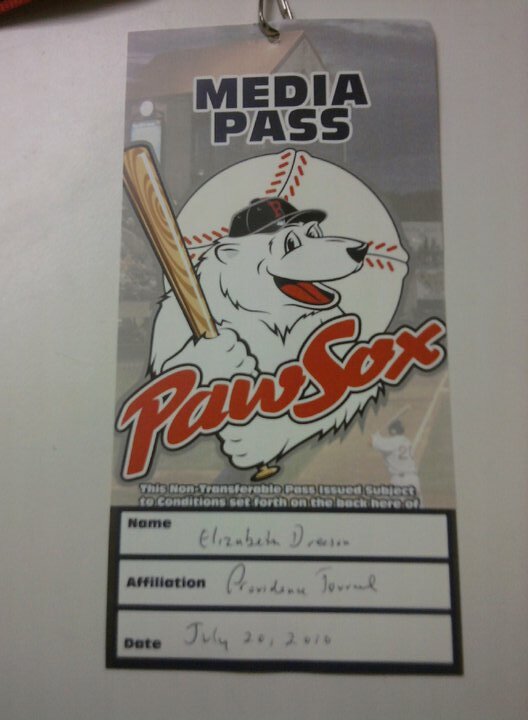 Then, I’m going up to Portland to shadow people in the media relations department for the Portland Sea Dogs. Unfortunately, I will not be able to blog for about three weeks. 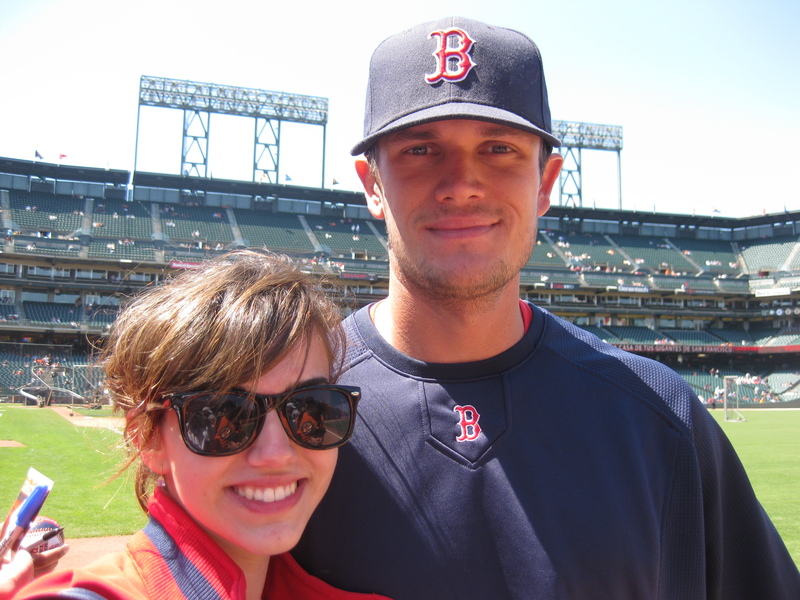 I will blog about the Red Sox games in California as soon as possible. For those of you wondering, yes, I am bringing my Dustin Pedroia salsa because I am blindly optimistic. I’m also hoping that I’ll get a chance to speak with Dustin Richardson. I’ll have full computer access when I’m in New England, so I’ll definitely keep you updated with my adventures over there. Until next time, you can follow me on Twitter, because I’ll still be updating!